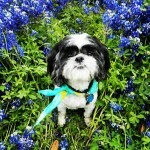 Home > Adopt a Pet > Feel Good Stories > Wondercide > Adopt-A-Dog Month | Muzzy | Austin Pets Alive! 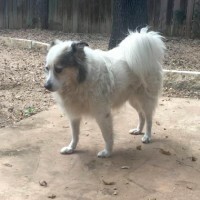 At 8-years-old, Muzzy is a sweet senior at Austin Pets Alive! 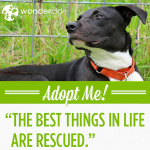 who may just be the perfect fit for your family! 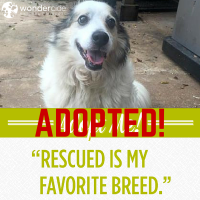 This Shetland Sheepdog Mix wants to be loved and to be given affection. He will walk by your legs and rub against you like a cat then throw himself in front of you and expose his tummy for a nice belly rub! And who wouldn’t want to rub that belly?! 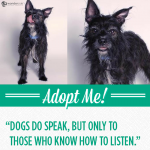 Muzzy knows basic commands, is housetrained and is a champ at staying home alone. 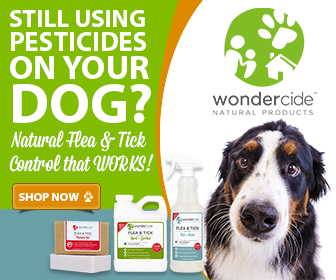 Visit the APA! 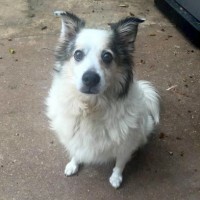 website to learn more about adopting Muzzy and be sure to check out the Top 5 Reasons To Adopt A Senior Dog!